Washington, Sept. 7 – RespectAbility, a nonprofit organization working to empower people with disabilities to achieve the American dream, has asked Senate candidates on both sides of the aisle to fill out a questionnaire on disability issues. 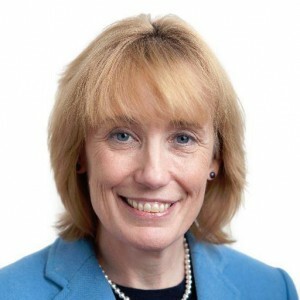 Democrat Maggie Hassan completed the #PwDsVote Disability Campaign Questionnaire for Senate and Gubernatorial Candidates for people with disabilities. 166,258 people in New Hampshire have a disability, 77,800 of whom are of are working age (between the ages of 21 and 64). Only 41.8 percent are employed compared with 80.3 percent of people without disabilities in New Hampshire. There are an additional 5,900 people ages 16-20 with disabilities, many of whom are hoping to enter the workforce. New Hampshire’s voters are looking to know where the candidates stand on important disability issues in order to increase opportunities for competitive, integrated employment for people with disabilities. RespectAbility also sent the questionnaire to the campaign of Republican Kelly Ayotte, who is seeking re-election to the United States Senate seat in New Hampshire. We will post Ayotte’s response when we receive it. We are presenting Hassan’s answers in full below. ANSWER: Yes. I have been working on behalf of people with disabilities for decades, and I consult with a wide range of advisors on these issues, including the Governor’s Commission on Disability. I was drawn to public service as an advocate fighting to ensure that children like my son Ben, who experiences severe disabilities, would be fully included in their communities and have the same opportunities that all parents want for their children. This advocacy has been central to why I got involved in public service, from my appointment by then-Gov. Jeanne Shaheen to the Advisory Committee to the Adequacy in Education and Finance Commission to my time in the State Senate and as Governor, and now my candidacy for the United States Senate. ANSWER: Yes. I strive to ensure that all organizations I am associated with are accessible and inclusive for people with disabilities, including my campaign. ANSWER: Yes. As a State Senator, I helped write and pass a law that ensures that adults with developmental disabilities have a right to services that allow them to live independent lives. As Governor, I have led efforts to provide funding to help the state fulfill these responsibilities and eliminate the waitlist for services, work that we must continue to ensure that funds are going to those who need them. I also worked to ensure that insurance companies cover early intervention, sponsored Connor’s Law to expand access to autism services, fought to preserve the Katie Beckett program to help families care for children at home, and launched efforts to address New Hampshire’s health care workforce shortage. In the Senate, I will continue working to ensure that everyone who experiences disabilities gets the care and support they need. I have been inspired throughout my career by the work of legislators such as Ted Kennedy and Tom Harkin and will aim to carry on their legacy. I will also work to fully fund the Individuals with Disabilities Education Act (IDEA) to make good on Congress’ commitment to support special education, and I will advocate for measures like the Disability Integration Act to expand access to home and community-based services for people with disabilities. And I will fight to ensure that Congress fully funds other efforts to support people who experience disabilities and takes their needs into account when considering legislation. You can more read about my work to fully include people with disabilities here. ANSWER: Yes. I have worked throughout my career in public service to help reduce these stigmas, which are damaging to people who experience disabilities and the communities in which they reside. That was one of the reasons I signed legislation making New Hampshire the first state in the country to prohibit employers from paying workers with disabilities less than the minimum wage – eliminating that double-standard for pay to help reduce the stigma associated with workers with disabilities. In my Innovate NH 2.0 economic plan I call for extending the same protection at the federal level. See the plan here. Annually, NH Vocational Rehabilitation Services (VR) hosts the Employment Leadership Awards, an event recognizing businesses that have gone above and beyond to hire and support employees who experience disabilities. I have heard time and again from business leaders that being inclusive benefits their overall success. As Senator, I will support services like VR to train and support employees who experience disabilities in the workplace. Every person, regardless of their ability, should have an opportunity to be a part of the workforce, which will in turn help build an even stronger workforce that is prepared for success in the innovation economy of the 21st century. Yes. During this campaign I released my Innovate NH 2.0 economic plan to foster innovation, support job-creating businesses and expand opportunity for hard-working families. In that plan I lay out proposals to help all people start their own businesses, invest in STEM education and ensure a healthy workforce. See the plan here. As we’ve worked across state government to meet the workforce needs of our businesses, we have made sure vocational rehabilitation is at the table and part of our efforts. NH Vocational Rehabilitation Services was an integral partner in forming New Hampshire’s recent Workforce Innovation and Opportunity Act (WIOA) combined state plan. This plan incorporates additional workforce training opportunities for people who experience disabilities, including youth. In the Senate, I will continue working to ensure that people with disabilities have jobs, careers and can start their own businesses. ANSWER: My first position in public service was serving on the Advisory Committee to the Adequacy in Education and Finance Commission, and I have continued this advocacy throughout my time in public office. As Governor, I recently signed a bill to help ensure that all public school students are screened for the identification of potential indicators or risk factors of dyslexia and related disorders upon enrollment in public kindergarten or first grade beginning in the 2017 school year, and in turn receive the necessary interventions. I will continue to push for these priorities in the U.S. Senate, and I will work to fully fund the Individuals with Disabilities Education Act (IDEA) to make good on Congress’ commitment to support special education. ANSWER: I believe that all people with disabilities should be able to work to the best of their abilities. In New Hampshire, we allow employed individuals with disabilities to continue to receive Medicaid coverage at over 400 percent of the federal poverty level, one of the most generous eligibility limits in the country. In the Senate, I will continue working to ensure that we strengthen programs such as Medicaid to ensure that we can provide people with disabilities the support they need to work. ANSWER: Yes. I support continuing to build on the progress we’re making under the Affordable Care Act, which ensures that people are no longer being denied coverage due to preexisting conditions. It also means there are no more lifetime caps on coverage, and young people are able to stay on their parents’ plans. And it enabled us in New Hampshire to come together to pass a fiscally responsible, bipartisan health care plan that is already providing quality, affordable coverage to nearly 50,000 hard-working Granite Staters. As a United States Senator I will fight to maintain protections for individuals with pre-existing conditions. ANSWER: Yes. Much of our ability to provide community-based services is reliant on the workforce which supports these services. My recently created Health Care Workforce Commission is working to address how to grow, support and professionalize New Hampshire’s Direct Support Professionals (DSPs). And in the Senate, I will advocate for measures like the Disability Integration Act to expand access to home and community-based services for people with disabilities. ANSWER: We need a fair and effective criminal justice system to help keep our communities safe. All too often, our prisons have a disproportionate number of people with mental illness or disability. We must continue to work to identify these people at arrest to assure appropriate treatment and placement. In New Hampshire, we have focused on ensuring that we are fully reintegrating individuals leaving our state corrections system. We have also expanded drug and mental health courts as alternatives for incarceration for individuals whose connection to the criminal justice system stems from their substance use or mental health disorders. In the Senate, I am committed to taking similar steps to help ensure that people with disabilities receive needed accommodations and are offered appropriate re-entry support. ANSWER: As Governor, public safety has been my highest priority since taking office and I have taken a balanced approach to ensuring a fair criminal justice system. In New Hampshire, we have integrated into our unified police training program a component on recognizing people with mental illnesses, substance abuse, epilepsy and other disabilities and on working to safely de-escalate situations. I recently signed a law that makes financial exploitation of people with disabilities a criminal offense. I have signed legislation establishing the crime of domestic violence, strengthened protections for human trafficking victims, and provided funding to support child victims of crime. In the Senate, I will continue working to protect public safety and ensure that people with disabilities have the support and protection they need to keep them safe. ANSWER: Sexual assault is an unthinkable crime, one that tragically happens far too often, especially to people with disabilities. We must always be working to prevent sexual assault in the first place and have required criminal background checks for those working with people with disabilities. This ensures that a perpetrator cannot move from one facility or community to another after being fired. We must also protect survivors when such a tragedy occurs and promptly investigate any incident. I support measures such as Senator Jeanne Shaheen’s Sexual Assault Survivors’ Rights Act, an important step to build on the federal Crime Victims’ Rights Act. By clearly articulating rights to address the unique challenges faced by sexual assault survivors, this bill will help empower survivors and send a clear signal that the law is on their side. I remain committed to advancing strong protections at every level for victims and survivors of all crimes, and I will support policies to help protect children and adults with disabilities from sexual assault. ANSWER: As the daughter of a World War II veteran, I am committed to fulfilling our obligations to all of our veterans by ensuring that they and their families receive the benefits they’ve earned and by supporting efforts to help our returning servicemen and women secure high quality jobs. As Governor, I helped launch Operation VETS Connect to enhance New Hampshire’s existing efforts to support veteran hiring. I worked to hire more veterans service officers at the New Hampshire Office of Veterans Services and helped make permanent a commission studying the effects of Posttraumatic Stress Disorder (PTSD) and traumatic brain injuries suffered by members of the armed forces and veterans in the line of duty. And I have supported veterans courts to help provide alternatives to incarceration for some veterans with disabilities through participation in behavioral health treatment programs. In the Senate, I will continue fighting to ensure that our veterans receive the support that they need and have earned. My priorities include continuing to reform the VA and working to eliminate VA wait list errors. I also strongly support efforts to make it easier for veterans to access mental health care. And I will work to improve veterans’ education and to build on New Hampshire’s efforts to end veteran homelessness, including expanding housing vouchers for veterans in need. You can read about my work to support veterans here. ANSWER: It is essential to enable people with disabilities to live in the communities where they work, and in the Senate I am committed to ensuring accessible, affordable, integrated housing for those who need it. ANSWER: We need to continue focusing on expanding all transportation options, including those that are accessible to individuals with disabilities. As Governor I have supported efforts to expand accessible bus service in parts of the state, and in the Senate I will continue to support similar efforts. I have also fought throughout my time as Governor to move forward with commuter rail from Boston to Nashua and Manchester, and I will continue working to secure federal support for critical projects like this in the Senate and ensure that they are accessible to individuals with disabilities. You can read more about my work on infrastructure issues here. ANSWER: My son Ben has used a variety of technologies to help him be mobile and communicate, so I understand the critical importance of innovations in these areas. In New Hampshire, Crotched Mountain is an umbrella organization that provides essential services for people with disabilities, including assistive technology services. Ben has received services from Crotched Mountain, and I recognize and appreciate the significance of their work in our state. As Governor, I have worked to help support businesses in New Hampshire that advance these assistive technologies and other innovations, cutting taxes for research and development and supporting start-ups through a variety of initiatives. In the Senate, I will continue working to support innovation by expanding the federal Research & Development tax credit, supporting start-ups and investing in the Small Business Innovation Research (SBIR) and Small Business Technology Transfer (STTR) programs to enable small businesses to explore and commercialize new technologies to help uncover the technologies of tomorrow. You can read more about my proposals to promote innovation in my Innovate NH 2.0 economic plan. I also believe that we should work to ensure that insurance companies cover technologies that allow people with severe disabilities to communicate and provide federal support for research and technology in this critical area. QUESTION 17: In your foreign policy and national security plan, do you plan to continue America’s tradition of standing up for the rights of oppressed people, including people with disabilities, around the world? If yes, please describe. ANSWER: Yes. In my national security plan I discuss how America’s values are a source of strength in foreign affairs and about the importance of continuing to stand up for human rights around the world – including the rights of people with disabilities. See the plan here.